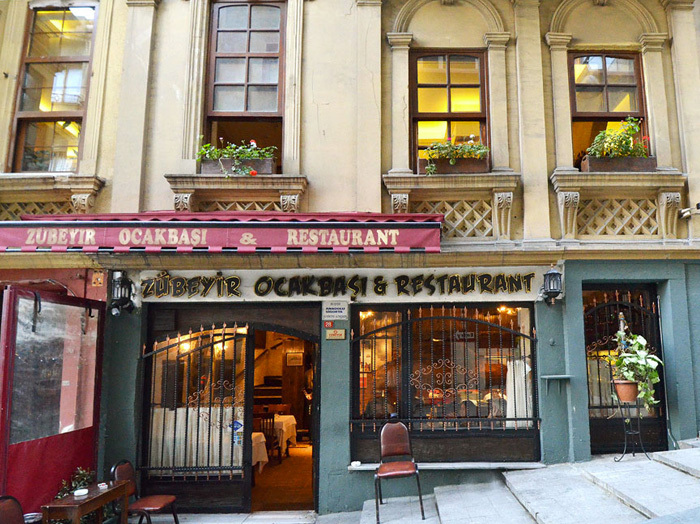 Zübeyir Ocakbaşı, located just off İstiklal Caddesi in the heart of Beyoğlu, started life in 2006 and is a local favorite, serving traditional ocakbaşı (a long hearth covered by a copper hood) fare, specializing in grilled meats. With two large hearths where the meats are freshly prepared and cooked before your eyes, the restaurant’s three floors are comfortably engulfed in avid conversation coming from tables of animated groups, while dishes of fresh meze, as well as meats just recently removed from large skewers, travel to tabletops. Beer, rakı, and other types of alcohol are available and since the restaurant gets very crowded on weekends, a visit during the week is recommended or make sure to call ahead to reserve your spot. To really experience the magic behind this traditional Turkish grill house, ask to sit near the grill where you can watch the experts at work as the skewers of meat sizzle to perfection over the heated coals.